All the plans below are available for $850.00 as is. Many are available for immediate delivery though some might require at least a week as they need to be updated to the software program that I now use (a week out). 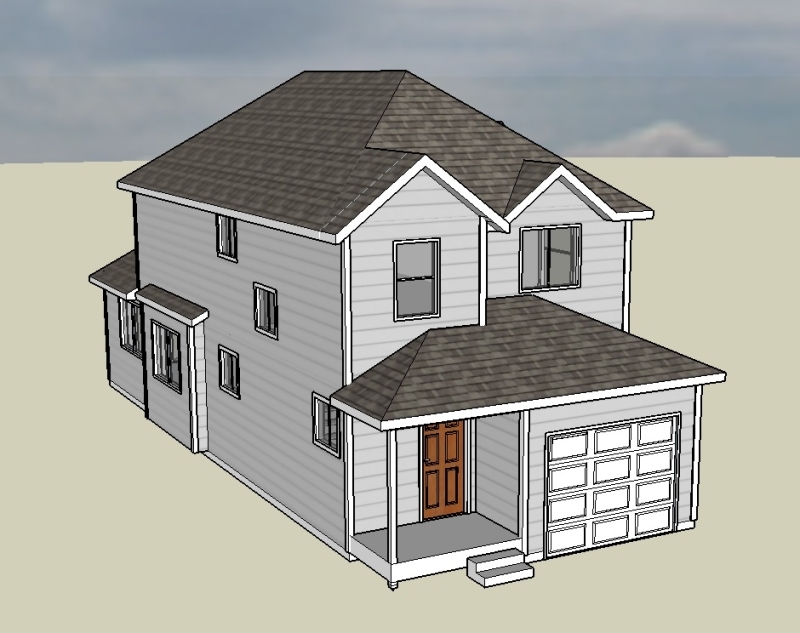 I am in the process of converting my entire catalog but I am also in the process of making a living designing new homes and so it will take time to get to them all. By the same token, this page is incomplete and will remain a work in progress for probably most of 2015. I do not intend to create any automation, at least for now, in regards to collecting payments and delivering plans. I would rather deal with each customer individually and in person via email or phone. I am set up to receive payment via Paypal and can always take a check, preferably a cashier’s. 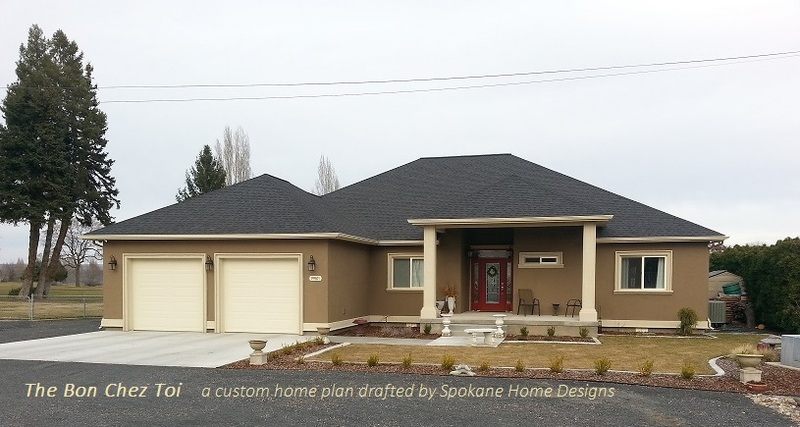 All these Spokane home plans here have been built or are scheduled to be built in the near future. 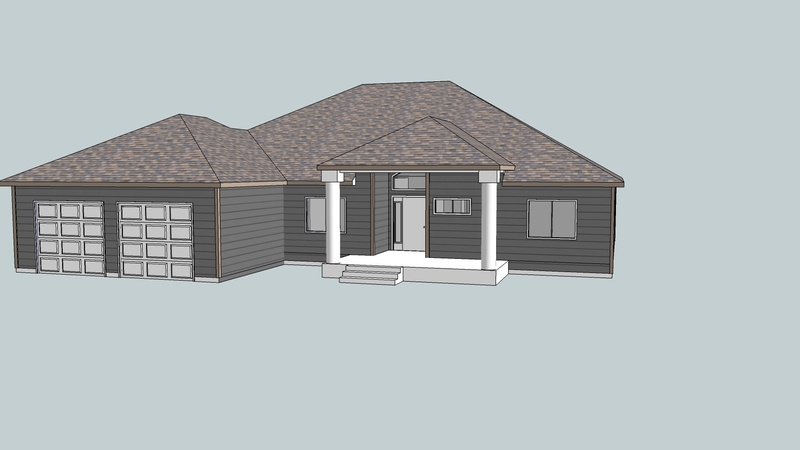 (click on houses to see more on each plan). This home is another empty nester type home that was recently built on a golf course and so it has a golf cart garage bay and a generous covered back porch that looks out onto the 9th hole. This home features a dramatic entry that opens to a spacious great room area. This house is designed to be built on a narrow lot. 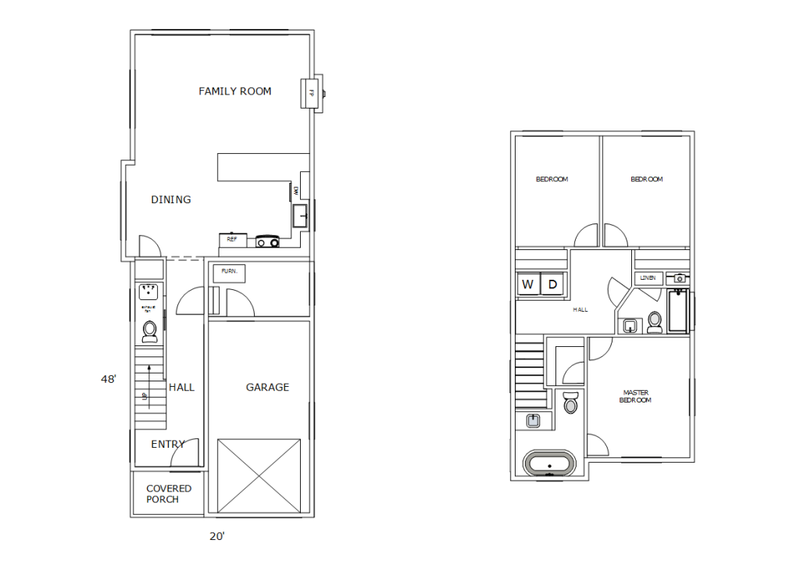 It is only 20′ wide but still has three bedrooms and 2 1/2 bathrooms as well as a one-car garage. There is a total of 1446 sq. 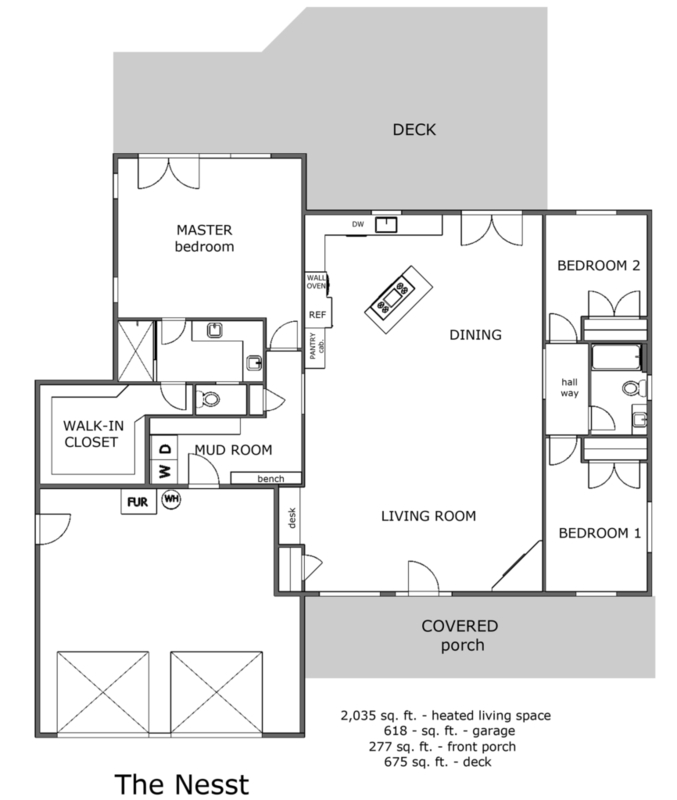 ft. with 710′ upstairs and 736′ down. I designed and built this home in 2001 and recently talked to the couple who had lived in it since. They told me they loved everything about the house and felt very lucky to have found it. Its most unique feature is a drivethru garage, but close to that is the hidden room in the gable above the front bedroom. 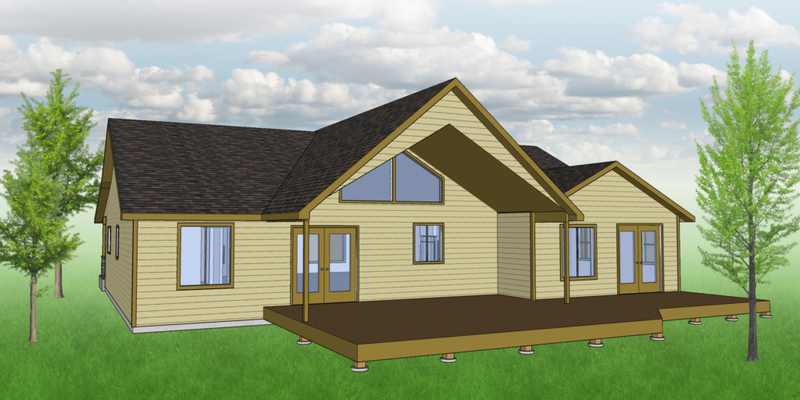 A is a nice one level house plan with an angled garage, covered porch with 3 bedrooms and two and half bathrooms and an over-sized mudroom/bathroom. It also has a full basement in this version. 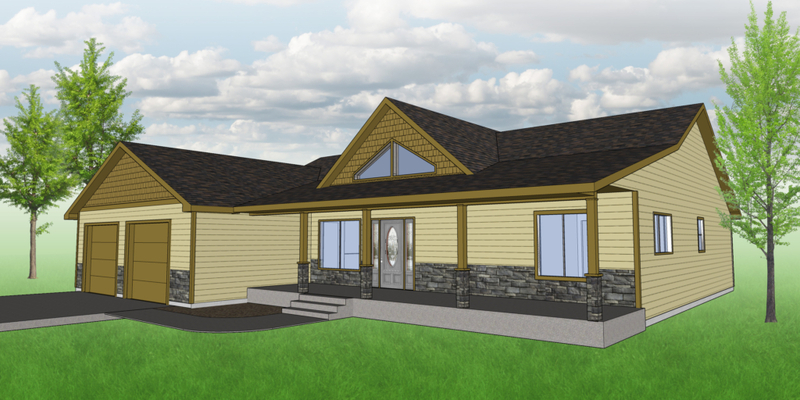 The Bow Manor is a 3 bedroom, 2 bathroom one-level, no-step-entry ranch style house plan that features an over-sized pantry large enough to hold a second full size refrigerator. 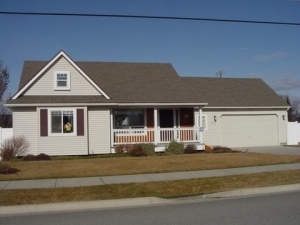 It also has large covered front and back patios.